Can four equations explain the collapse of civilisations? For more on populationism, click HERE. March 31, 2014 -- Climate & Capitalism, posted at Links International Journal of Socialist Renewal with permission -- If hundreds of newspaper and online reports are to be believed, scientists at NASA’s Goddard Space Agency have proven that Western civilisation will collapse unless we radically reduce inequality and shift to renewable resources. That would be important news if it were true. Is it? January 26, 2011 -- Links International Journal of Socialist Renewal, with the kind permission of Monthly Review Press, is excited to offer its readers an excerpt from The Science and Humanism of Stephen Jay Gould, by Richard York and Brett Clark. Click HERE download (in PDF) the extract, "Natural History and the Nature of History", or read it on screen below the introduction. Links' readers are urged to purchase the book. Please click here to order your copy. Stephen Jay Gould was not only a leading paleontologist and evolutionary theorist, he was also a humanist with an enduring interest in the history and philosophy of science. The extraordinary range of Gould’s work was underpinned by a richly nuanced and deeply insightful worldview. Stephen Hawking has frequently been called the most eminent natural scientist of our age. Justifiably so, since the renovation of all natural science by someone stuck in a wheelchair, his brain being the only remaining functional part of his body, is something we do not see every day. Besides showing the limitless horizons of the human mind, Hawking offers precious proof of the strength of the will and of the creative potential of humanity, which will fully blossom only in a different society, free from exploitation, vulgarity and the mean motives borne of the pursuit of profit. March 13, 2009 -- In recent decades a form of militant creationism — masquerading as science under the name of “Intelligent Design” — has gone on the offensive, promoting the teaching of biblical creationism in schools, and carrying out a broader “wedge strategy”, aimed at transforming the place and nature of science in society. Critique of Intelligent Design: Materialism versus Creationism from Antiquity to the Present, is almost overdue in this respect. It traces the rise of the “design” phenomenon, and its relationship to conservative, right-wing politics, and places it in the context of a 2500-year-long debate between materialism and creationism that lies at the heart of Western civilisation. 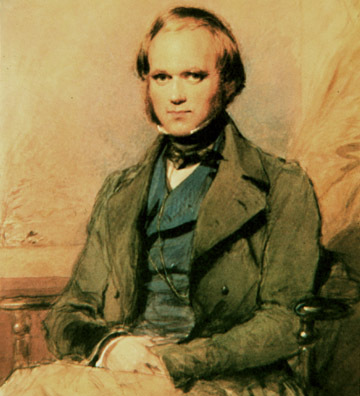 Two articles by Canadian Marxist Ian Angus discuss the important legacy of Charles Darwin in the 200th year since his birth and the 150th anniversary year of the publication of On the Origin of Species. This first article appeared in Canada's Socialist Voice, and the second in the Britain's Socialist Resistance. Ian Angus will be a featured guest at the World at a Crossroads conference, to be held in Sydney, Australia, on April 10-12, 2009, organised by the Democratic Socialist Perspective, Resistance and Green Left Weekly. Visit http://www.worldATACrossroads.org for full agenda and to book your tickets. Socialist Voice -- February 12, 2009 is Darwin Day, the 200th anniversary of the birth of Charles Darwin. His masterwork, On the Origin of Species, was published 150 years ago, in November 1859, initiating a revolution in science that continues to this day.